Highlights on the Tanglewood schedule week 4, July 27-August 2, 2012 include Marcelo Lehninger leading Pictures At An Exhibition On July 27, and Charles Dutoit leading Berlioz’s Damnation Of Faust On July 28. On Friday, July 27, BSO Assistant Conductor Marcelo Lehninger joins the orchestra along with his fellow Brazilian Nelson Freire, who performs as soloist in Mozart’s Piano Concerto No. 20 in D minor, K.466, and Momoprecoce for piano and orchestra by Villa-Lobos, whose music featured regularly during the early years of the festival. The concert will also include Mussorgsky’s Pictures at an Exhibition, which was a specialty of Koussevitzky and has a long Tanglewood history. The following evening’s performance also provides historical Tanglewood significance alongside spectacle as the Shed is illuminated by the otherworldly light of Berlioz’s Le Damnation de Faust, a work that had its memorable Tanglewood premiere in 1954 with Charles Munch and was last performed at the festival in 2007. 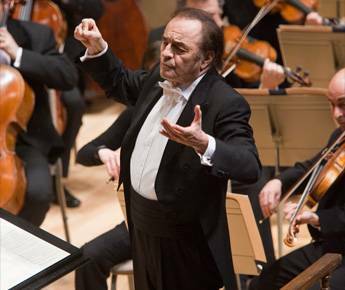 The July 28 performance is led by eminent Swiss conductor Charles Dutoit and features mezzo-soprano Susan Graham, tenor Paul Groves, baritone Sir Willard White, bass-baritone Christopher Feigum, the PALS Children’s Chorus, and the Tanglewood Festival Chorus. Mr. Dutoit returns to lead the BSO Sunday, July 29, in a program of Tchaikovsky’s Symphony No. 5 and Beethoven’s Piano Concerto No. 3 with soloist Emanuel Ax, who has performed at Tanglewood more than 30 times and every season since 1985. Thursday, August 2, brings the long-awaited Tanglewood debut of distinguished baritone Gerald Finley, best known for creating the role of J. Robert Oppenheimer in John Adams’s 2005 opera Doctor Atomic, in an Ozawa hall recital featuring songs by Loewe, Schumann, and Britten.